hi i have a honda accord 1999 ex coupe v6 and im not the first owner. the previous owner put lowering springs on it. im not sure how much its lowered. is there a way to check how many inches its been dropped? i wanted to get 2" drop megan springs but im not sure if its already dropped 2" i have oem size wheels and theres barley a gap between the wheel and fender. 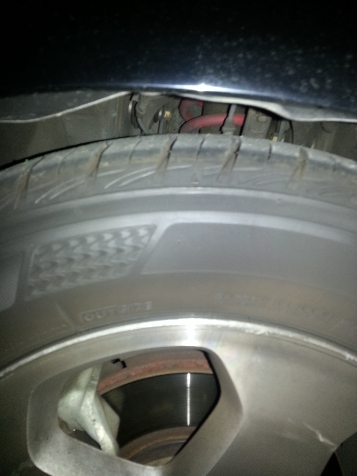 theres roughly a little bit more than 1 of my finger gap between the wheel and fender. Last edited by phi1542; 02-08-2013 at 09:39 PM.